Most identities supplied are actual chosen identities. Some of the logos were secondary options, not chosen, but deserving of sunlight. Enjoy. In order from left to right, top to bottom. 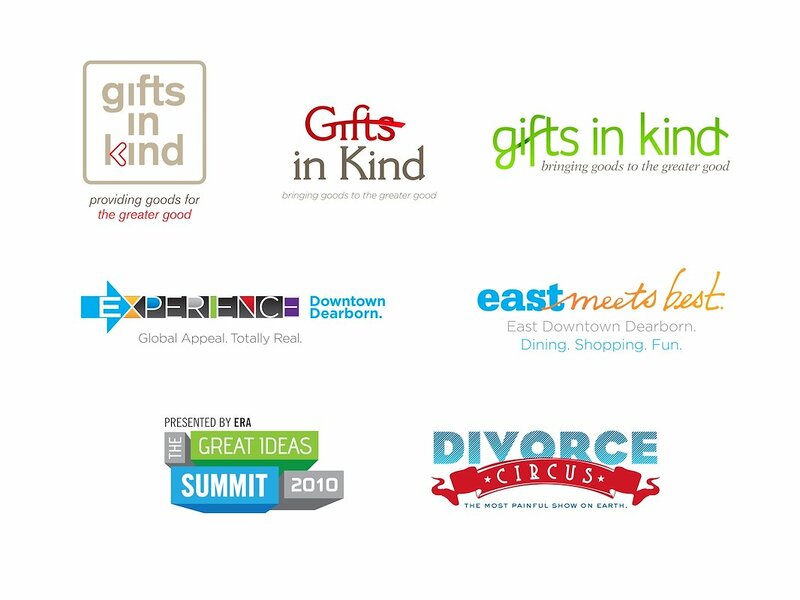 Gifts In Kind International Logo option 1, Gifts In Kind International Logo option 2, Gifts In Kind International Logo option 3, East Dearborn Re-brand option 1, East Dearborn Re-brand option 2, Electronic Retailing Association Summit option 1, Divorce Circus logo option 1. In order from left to right, top to bottom. National Trust for Historic Preservation 2009 Conference, Hail Mary's 5K team logo, Executive Consulting Group logo option 1, K.R. 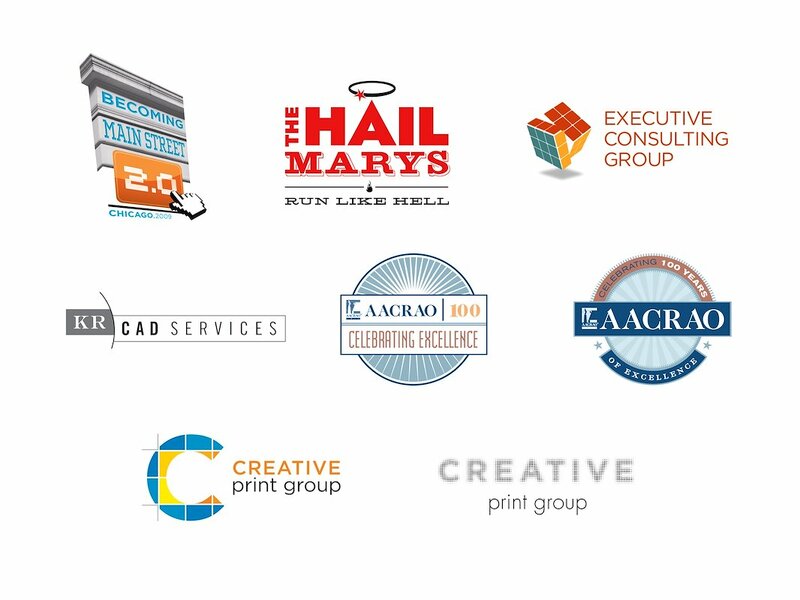 CAD Services logo option 1, AACROA Centennial Logo option 1, AACROA Centennial Logo option 2, Creative Print Group option 1, Creative Print Group option 2.